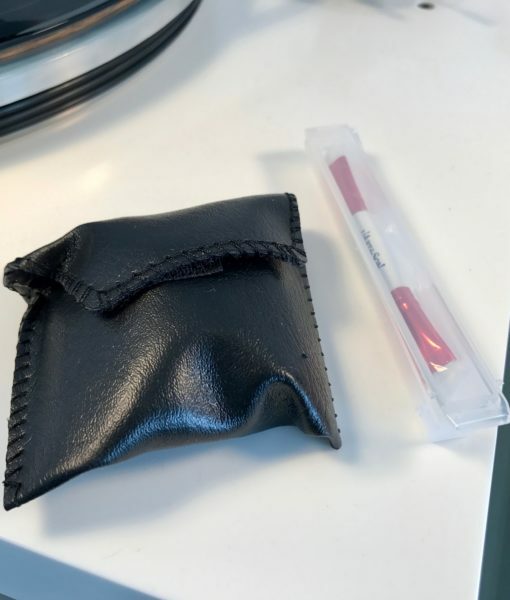 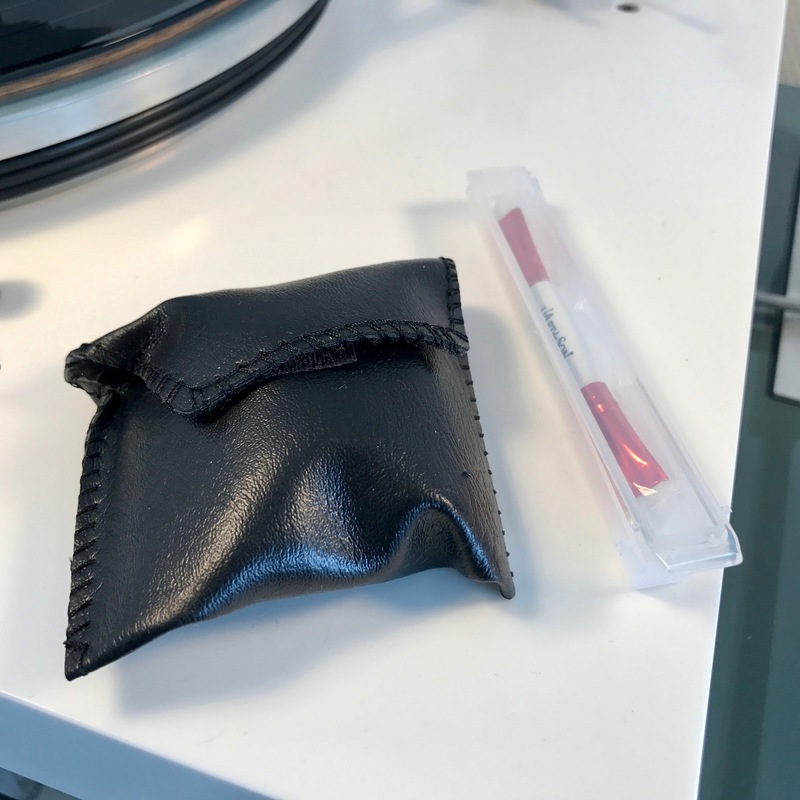 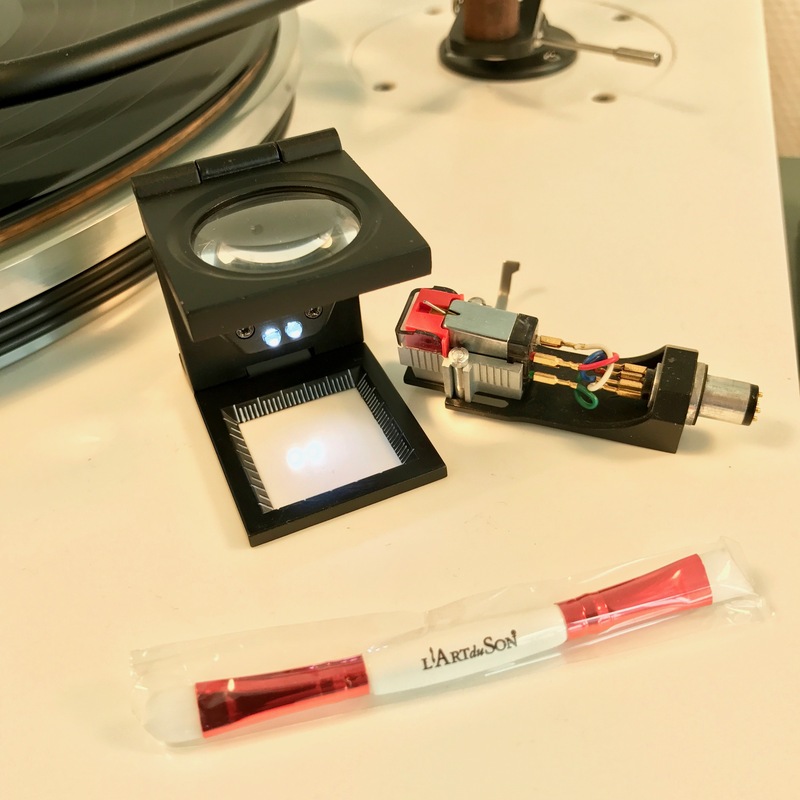 An easy and efficient way of cleaning the styluses of your precious cartridges and get a clear overall evaluation of the status of your cartridge. 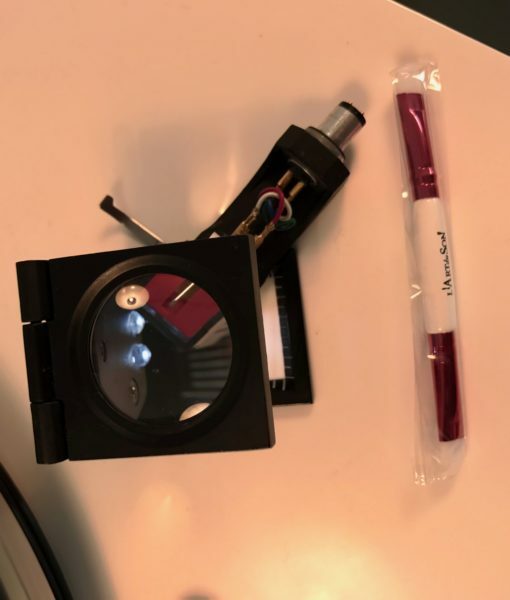 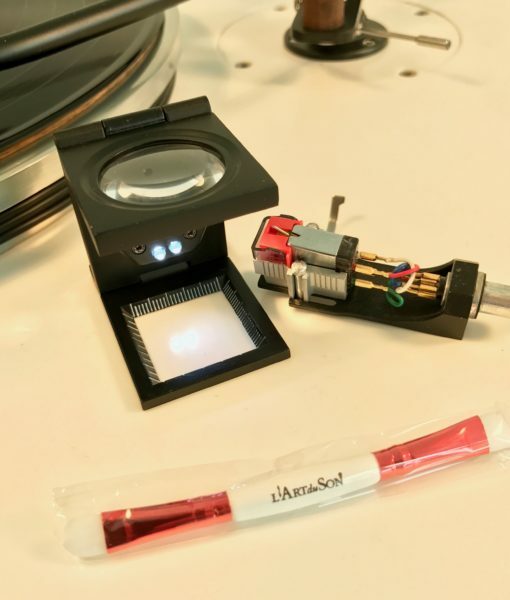 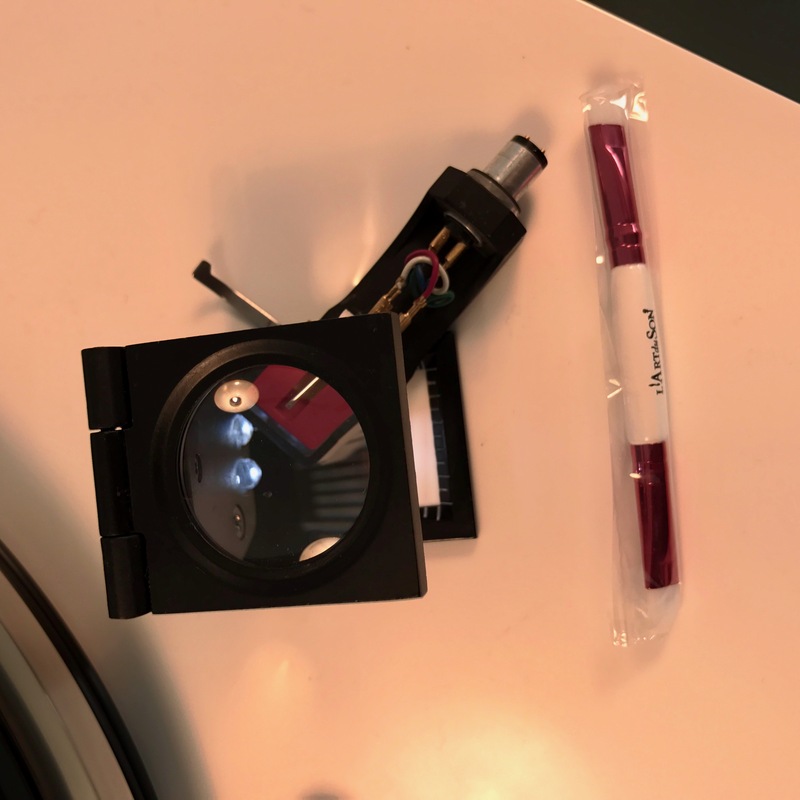 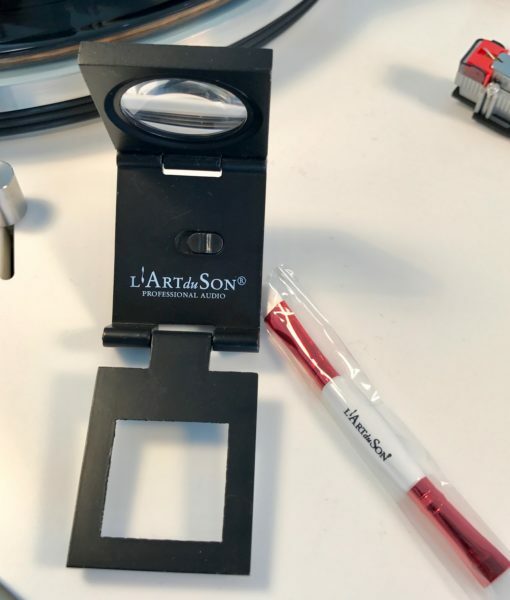 L’Art Du Son – Magnifier and stylus brush set will allow you to perform a check-up of your cartridge under a powerful magnifier with LED light enhancement (powered by two CR927 batteries). 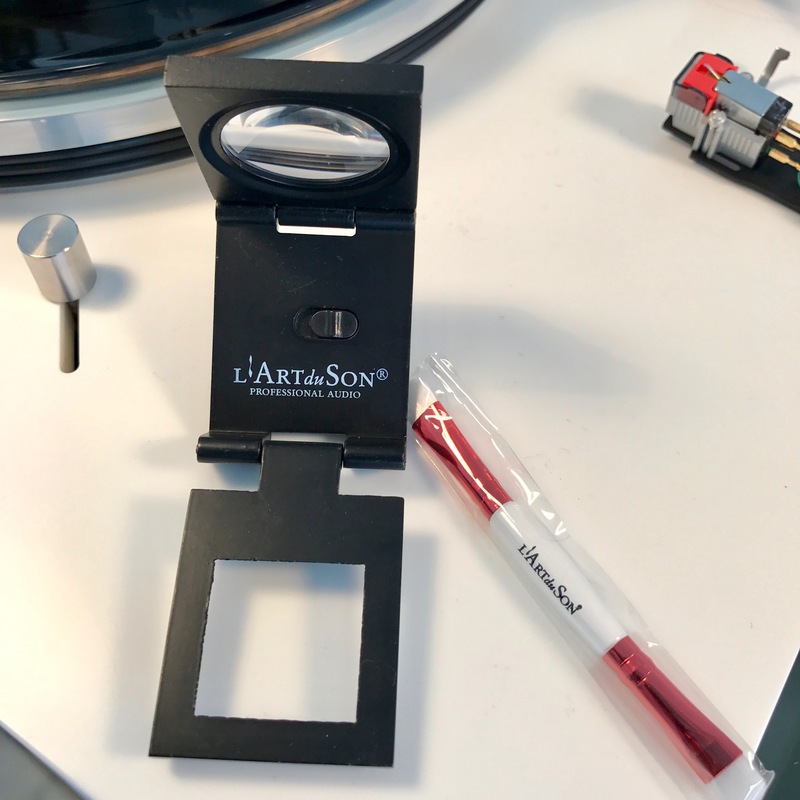 The l’Art du Son – Stylus Brush can be used with any cleaning stylus solutions.